This week in gaming: Epic Games breaches players’ trust, Harry Potter meets Pokémon Go, Google hires a gaming veteran, and more! Matt made his debut for the site with a review of BioWare’s hotly-anticipated multiplayer game, Anthem. Luke continued his run of reviews with some thoughts about Microsoft’s bland action title, Crackdown 3. Jake traded his editor’s hat for a reviewer’s one by reviewing Bit Dragon’s neon-drenched brawler, Hyper Jam. Valve has told BleepingComputer that it is investigating claims that Epic Games has been accessing Steam users’ data without their express permission. This statement was issued in response to Epic Games VP of Engineering Daniel Vogel and CEO Tim Sweeney separately confirming that the company did unintentionally collect some Steam user data but that none of it was in a form that was accessible by another organisation. 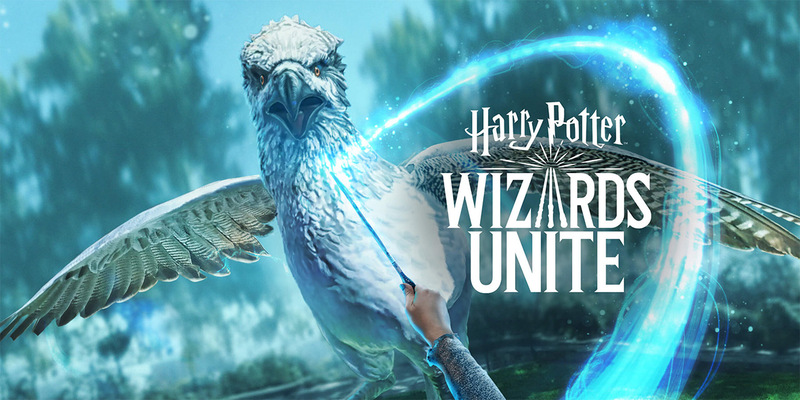 Almost a year since the game was first teased, Niantic and Portkey Games have finally announced their new free-to-play augmented reality game to the public, Harry Potter: Wizards Unite. In the game, players will star as Statute of Secrecy Task Force recruits who are responsible for hiding evidence of the existence of magic from regular humans. Raymond, who co-founded EA’s Motive Studio and co-created Assassin’s Creed, has announced that she has joined Google as a Vice-President. While she did not disclose her complete title, it is expected that she may be leading the company’s cloud gaming efforts given her extensive experience within the gaming industry. Early this week, Gearbox Software teased the possibility of an upcoming Borderlands 3 announcement in a tweet featuring a partially-covered numeral 3 with regard to its upcoming PAX East panel. Furthermore, the company has further fuelled speculation by telling fans to expect “never-before-seen reveals, exclusives, and surprises” during the panel. 343 Industries’ Brian Jarrad has taken to the Xbox Wire blog to announce that his studio is adding Halo: Reach to Halo: The Master Chief Collection on Xbox One as “a premium add-on” later this year. Additionally, 343 Industries is also porting the Collection to PC, albeit just one game at a time to ensure that each title enjoys a stable launch. Halo: Reach will be first off the block with the rest of the games being released according to their chronological order. The PC version will be released through the Windows Store and Steam, but the company did not comment on the possibility of an Epic Games Store release. The Japanese publisher has begun removing the game from sale in its home country and removing related tweets after Japanese police found cocaine in actor Pierre Taki’s bloodstream. While Taki, who plays yakuza member Kyohei Hamura in the game, was not charged with possession, it appears as if SEGA has pulled the game to adhere with societal expectation of not associating with an alleged drug user. As of this writing, Judgment’s Western June release appears to be not be affected. Here’s a quick primer for Massive Entertainment’s multiplayer sequel. Check out this behind-the-scenes look at the game’s development. Trigger-happy toys and tailored suits, anyone? SEGA’s Mario Kart fighter is packing some serious threads.